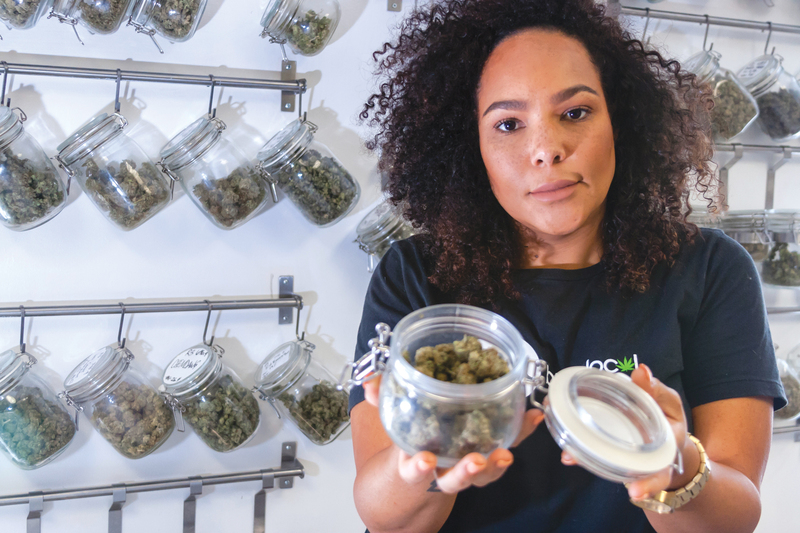 Metropolitan Wellness Center Manager Vanessa West explains the benefits of a particular strain of cannabis. Medical marijuana is about to celebrate its fourth year in the District. However, lack of patient enrollment has the medical cannabis industry wondering if residents know cannabis can treat a variety of mental and physical conditions including chronic pain, insomnia, and anxiety-related disorders such as post-traumatic stress disorder (PTSD). The city supports the program, recently adding an opportunity for a dispensary license. Once awarded, it will bring the medical pot shop count up to six. Yet, less than one percent of the city’s population currently participates in the medical marijuana program. That’s around 5,000 card-carrying patients in DC compared to 107,798 in Colorado, 138,056 in Washington, and 758,607 in California (www.medicalmarijuana.procon.org). West says there is a variety of reasons why the turnout is so low, one being lack of knowledge about the medical marijuana program, what it entails to get a card, and minimal physician participation. Patients who disclose why they are coming into MWC say that many of their issues stem from chronic pain including back issues, spinal injections, and herniated discs. There are also those looking to treat anxiety and depression, which West says are some of the most common issues she sees. The Americans for Safe Access Foundation (ASAF) – the largest member-based national organization of patients, medical professionals, scientists, and concerned citizens promoting safe and legal access to cannabis for therapeutic use and research – published a report on aging and marijuana. The collection of studies paints a picture of how cannabis can help with conditions typical of the aging process. Some of the mental and physical conditions of aging include arthritis, chronic pain, diabetes, Parkinson’s, and Alzheimer’s. Medical marijuana has been shown to reduce the agitation common to Alzheimer’s sufferers according to the American Society of Consultant Pharmacists. Popping an aspirin from time to time seems harmless enough, but for those suffering from arthritis it can do more harm than good. Aspirin is a nonsteroidal anti-inflammatory drug (NSAID) and must be taken in large, continuous doses of 1,000-5,400 milligrams a day to be effective. Such high quantities can cause stomach pain or internal damage. Alternatively, cannabis can improve mobility and reduce morning stiffness and inflammation. Research reveals patients can reduce their use of potentially harmful NSAIDs when using cannabis as an adjunct therapy. It’s even been proven preventative in extreme cases, like rheumatoid arthritis sufferers. According to the September 2005 issue of the Journal of Neuroimmunology, Tokyo’s National Institute for Neuroscience finds that “cannabinoid therapy of rheumatoid arthritis could provide symptomatic relief of joint pain and swelling as well as suppressing joint destruction and disease progression.” Rheumatoid arthritis is one of the most widely recognized qualifying conditions in most of America’s medical marijuana states. Studies are finding that medication typically prescribed by doctors, like opioids and other pharmaceutical drugs, are failing patients and their communities. The problem with clinically studying medical marijuana is the plant’s status as a Schedule 1 substance. The federal barrier prevents researchers from obtaining the medicine for trials. It may also cost research and development companies as well as universities their funding dollars from state or federal grants. 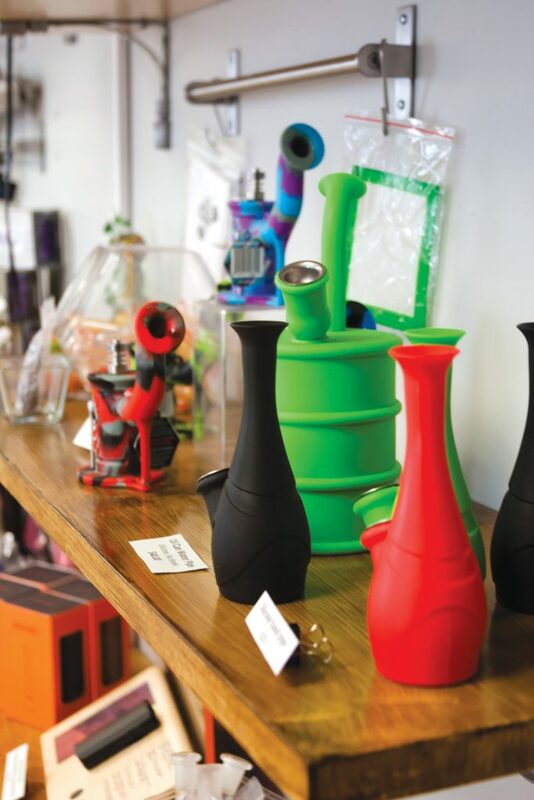 Smokeless options and tapered dosages are now the norm at dispensaries. Talking over recommended doses with knowledgeable doctors and your budtender is crucial, as cannabis is not a one-size-fits-all medicine. It took more than a decade for the District to get a medical marijuana program. Voters passed a medical legalization bill in 1998, but it wasn’t until 2010 that the city passed new regulations, and the first dispensary didn’t open until the summer of 2013. 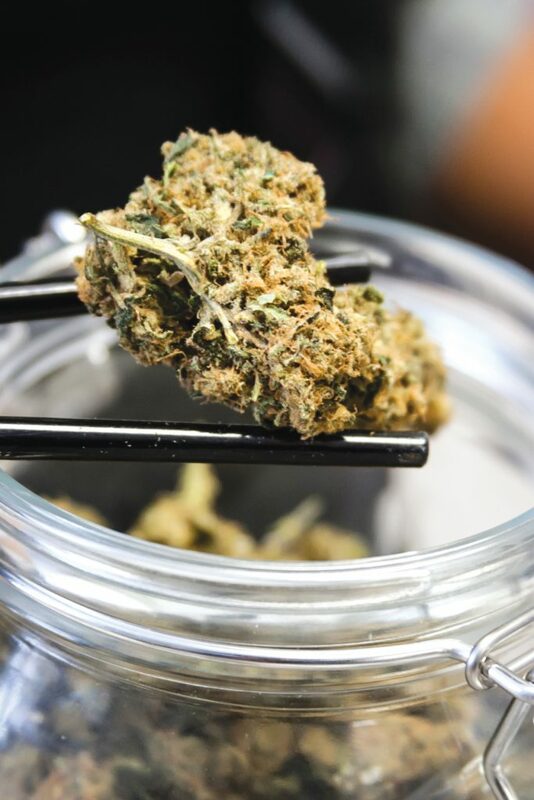 Dispensaries are also facing regulation issues from the Department of Health (DOH), stated one DC medical cannabis advocate, who chose to remain anonymous out of fear of DOH retaliation. He also says the DOH is unresponsive to inquiries and passive in providing educational materials to doctors and the general public. “The DOH doesn’t answer the phone, they don’t return calls, they don’t respond to emails. They also send the cards out via certified mail, so if someone isn’t home to sign for it, it goes to the post office, and if the post office contacts the DOH, the DOH doesn’t contact the applicant to say, ‘Hey, we have your card, come pick it up.’ There are just a slew of issues,” the source states. The approval of the medical marijuana industry in the area is sparking interest from highly regarded Maryland-based health institutions, with cannabis medical conferences at the National Institutes of Health and studies at Johns Hopkins University.